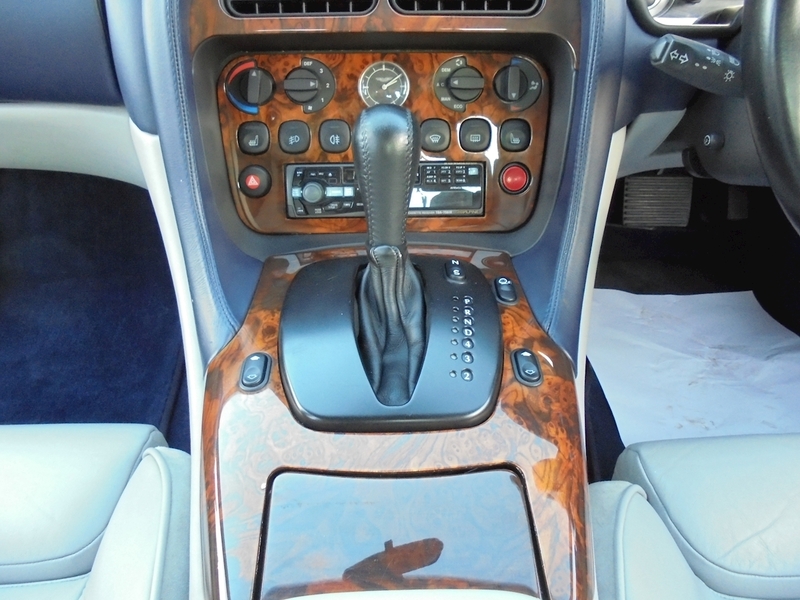 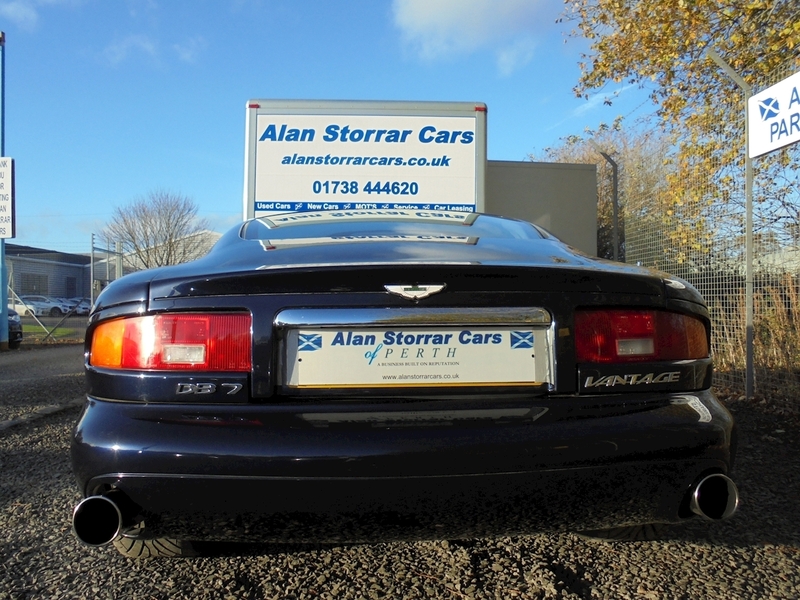 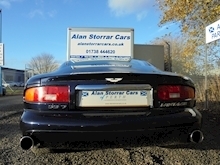 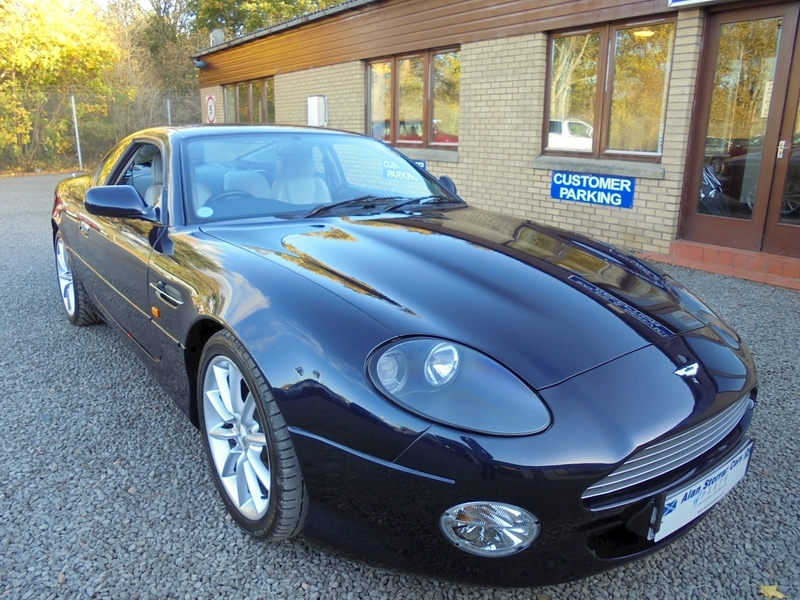 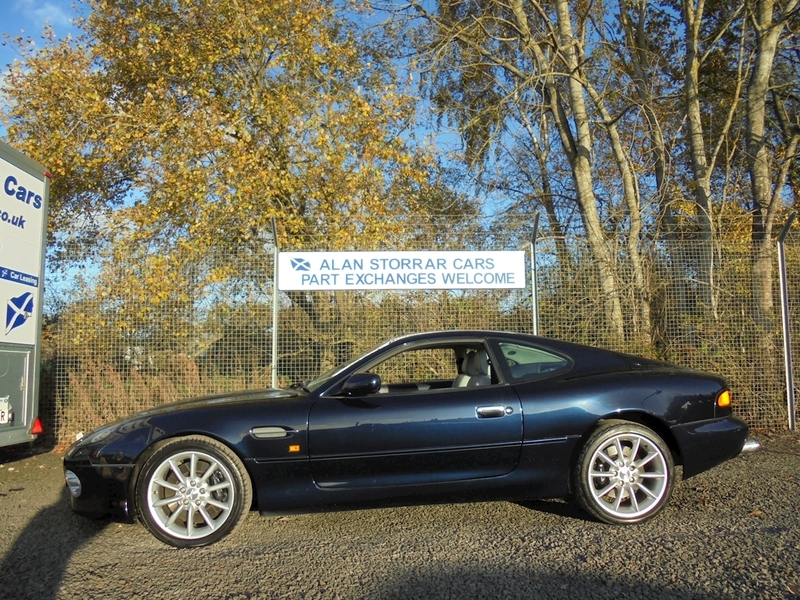 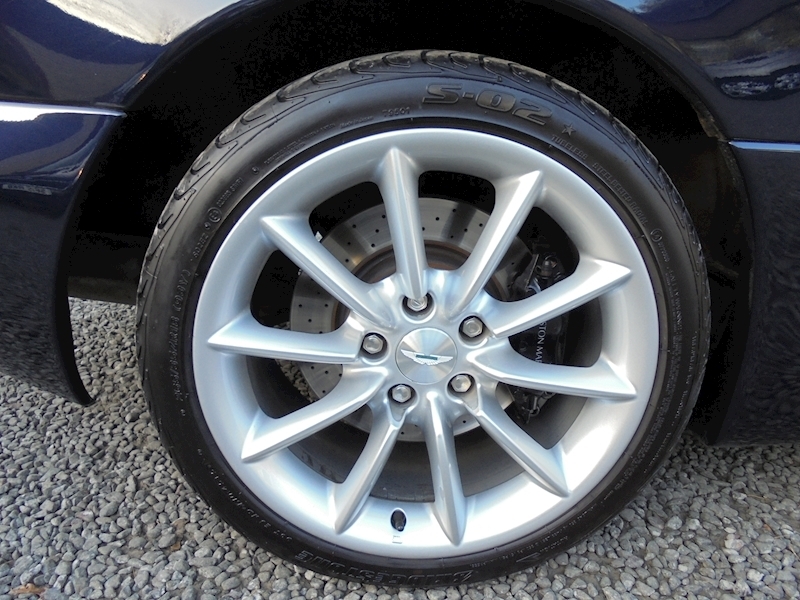 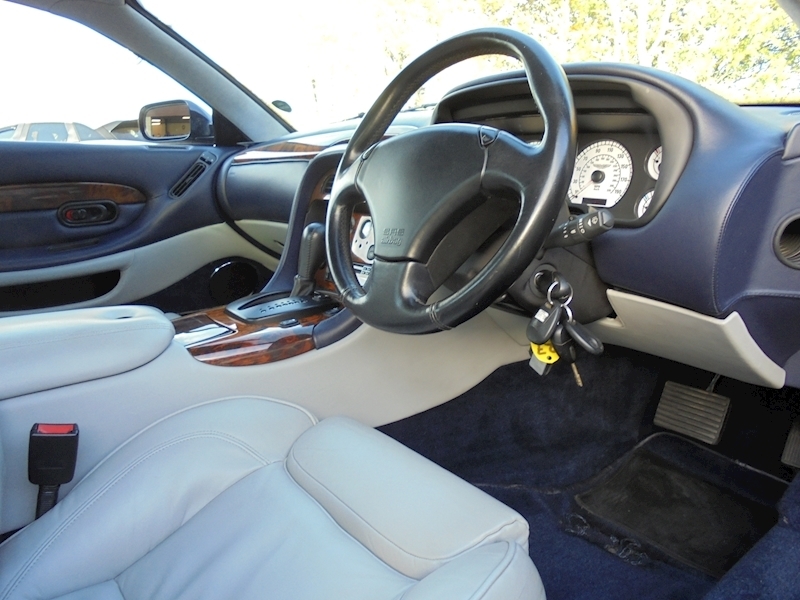 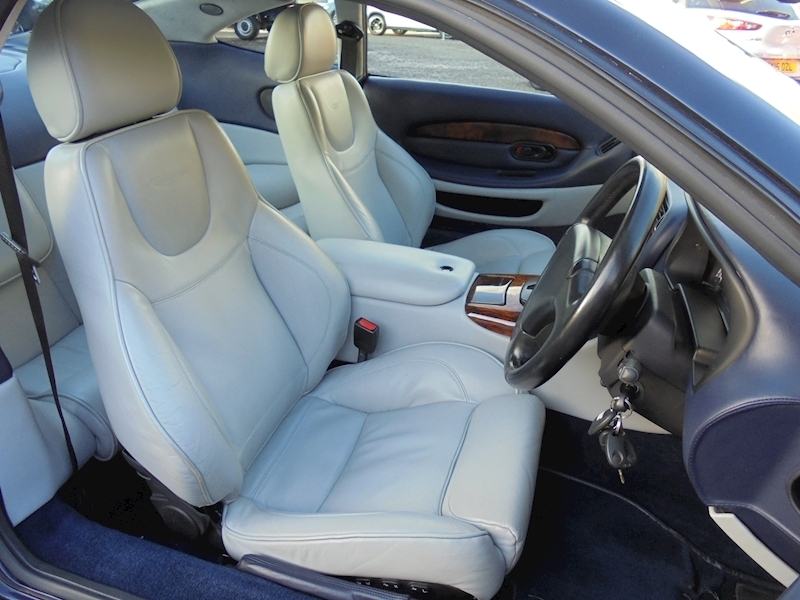 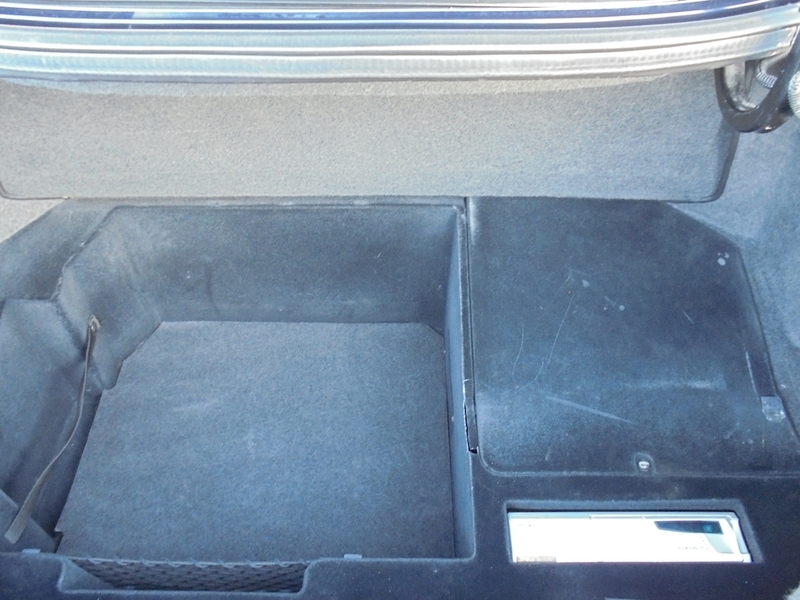 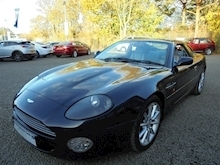 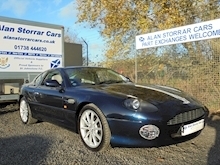 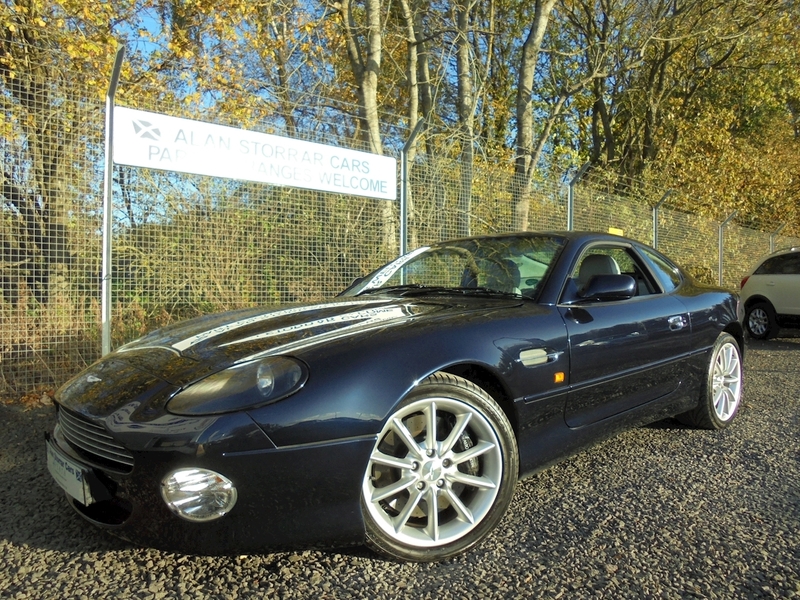 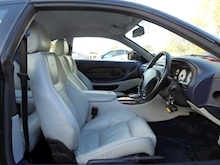 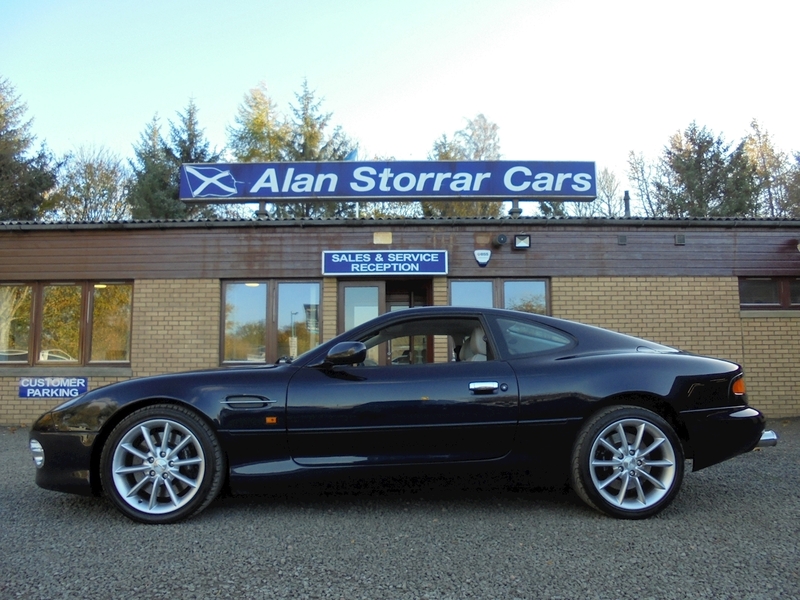 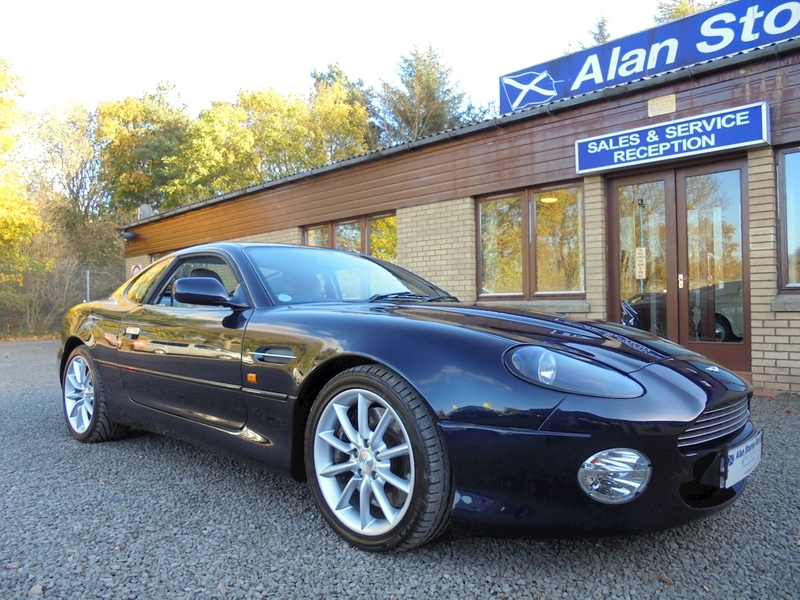 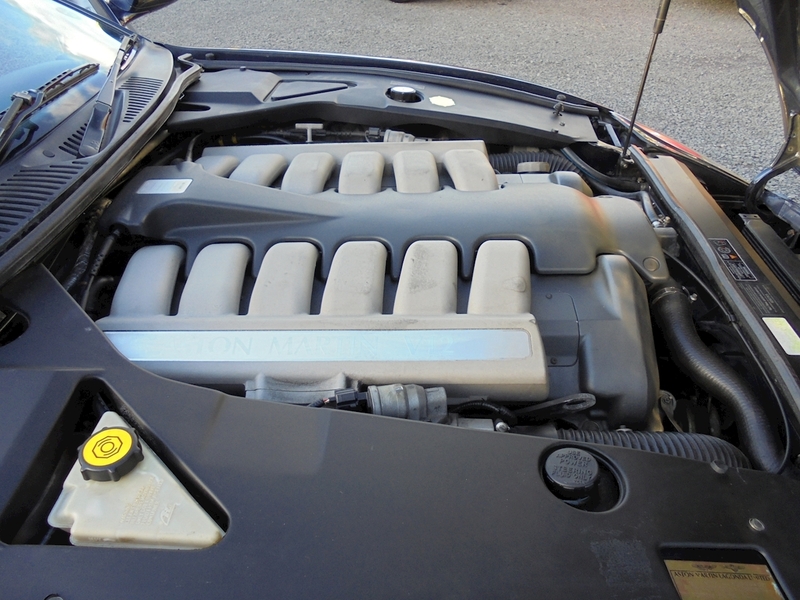 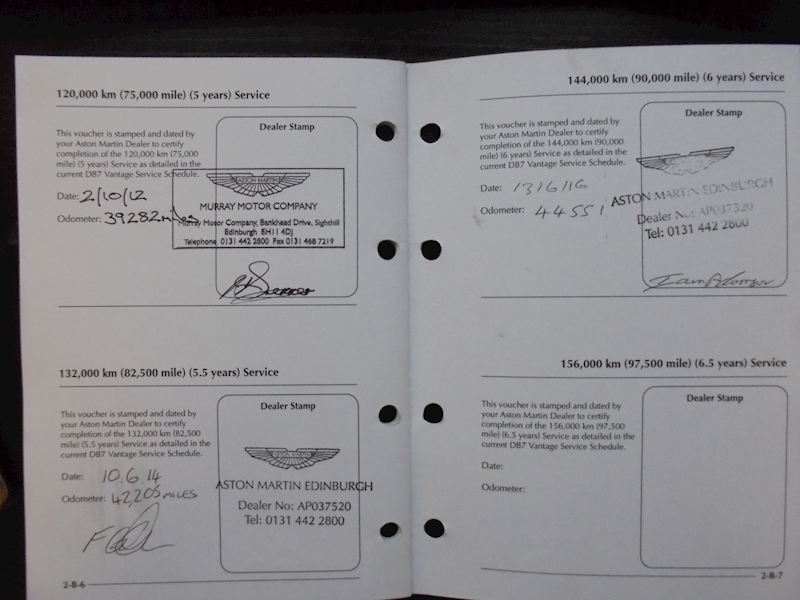 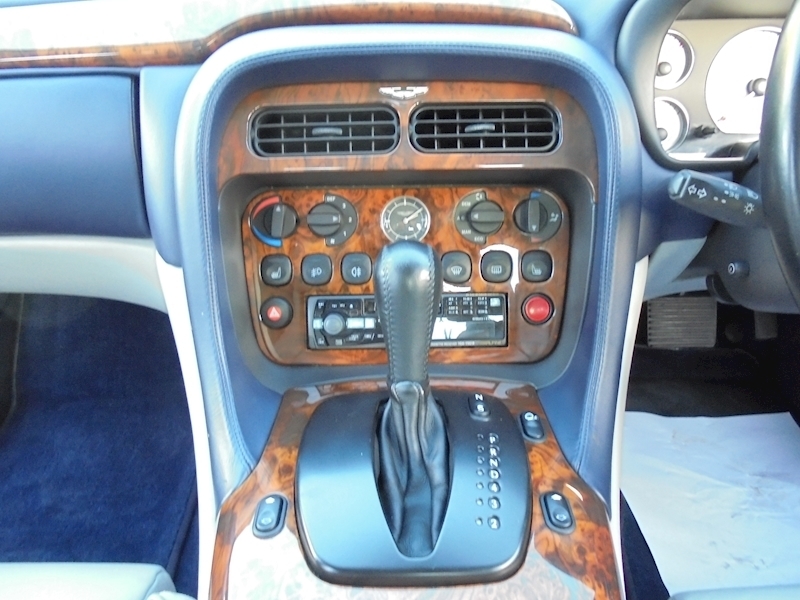 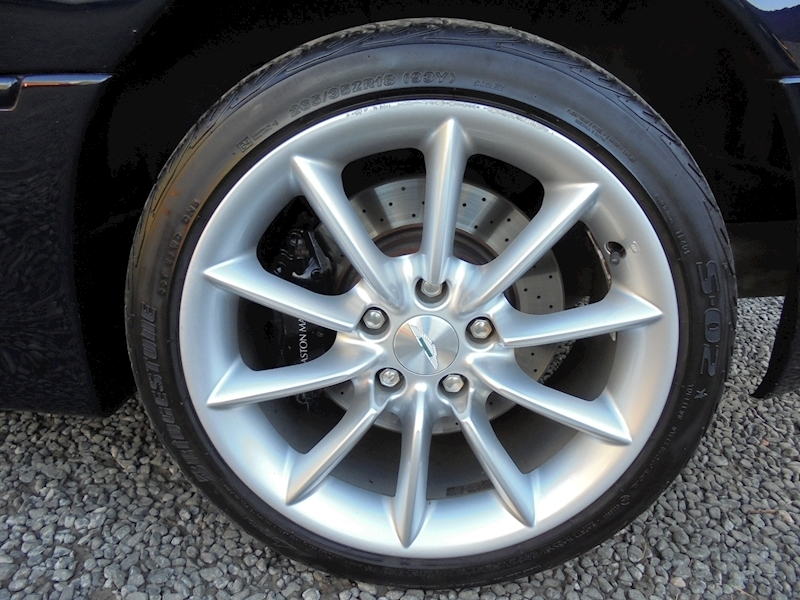 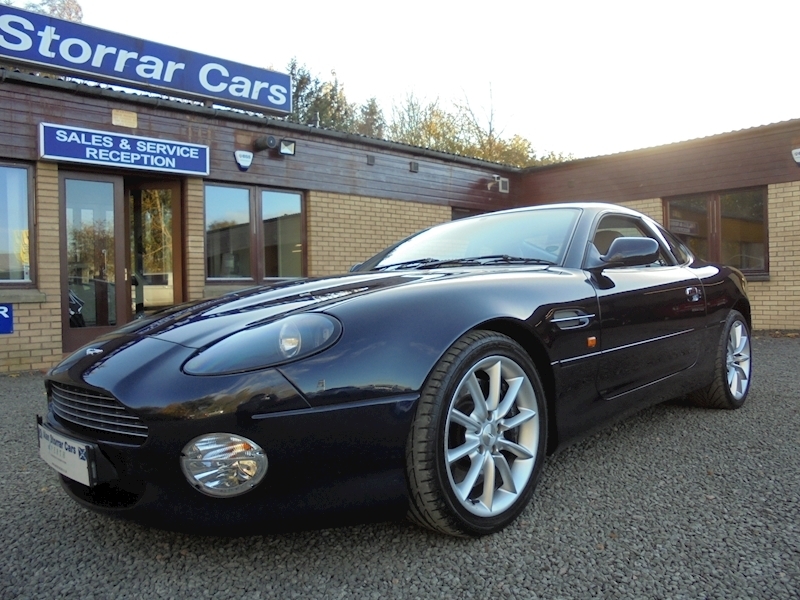 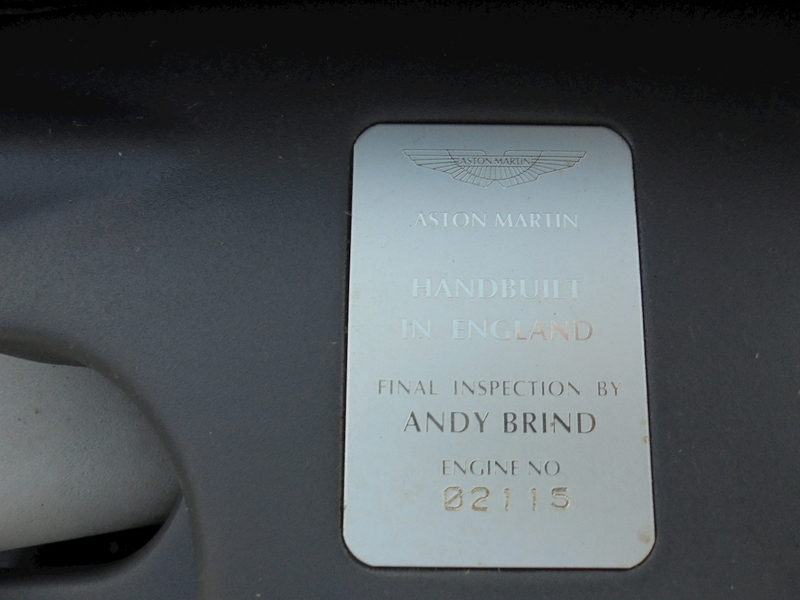 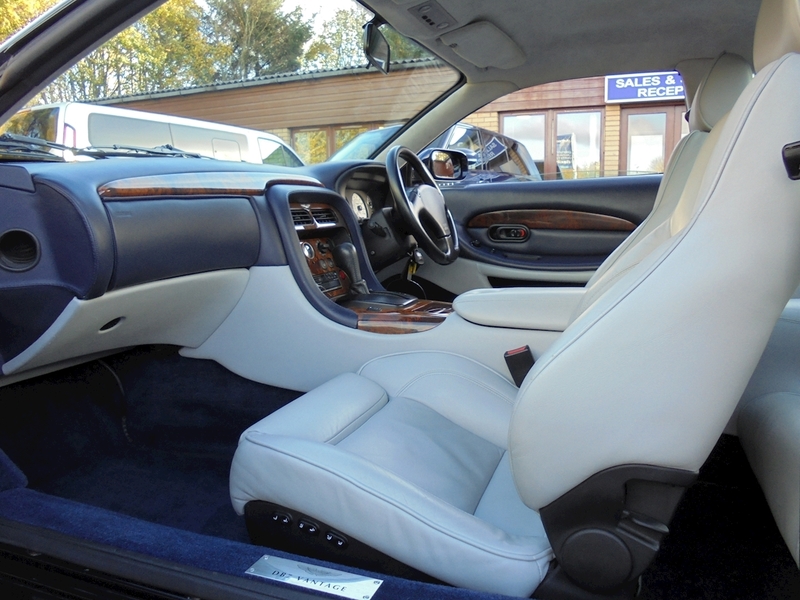 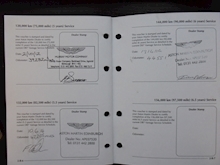 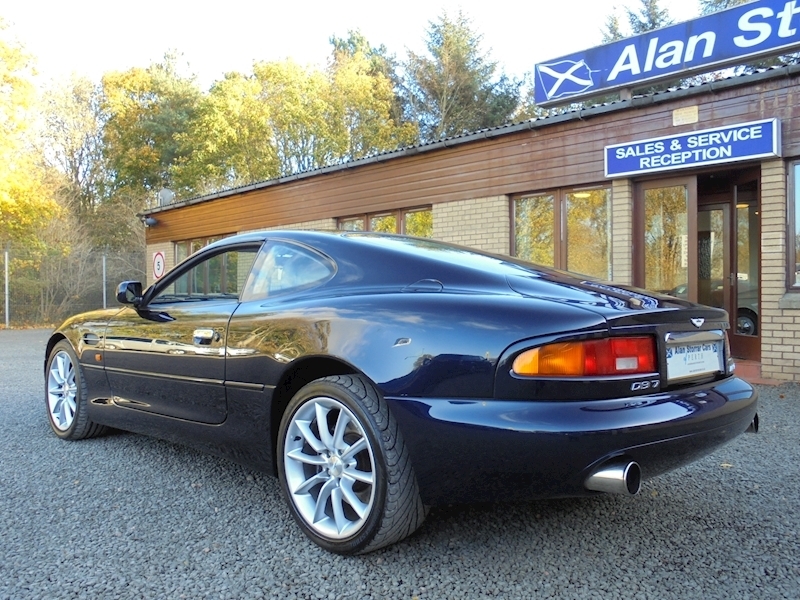 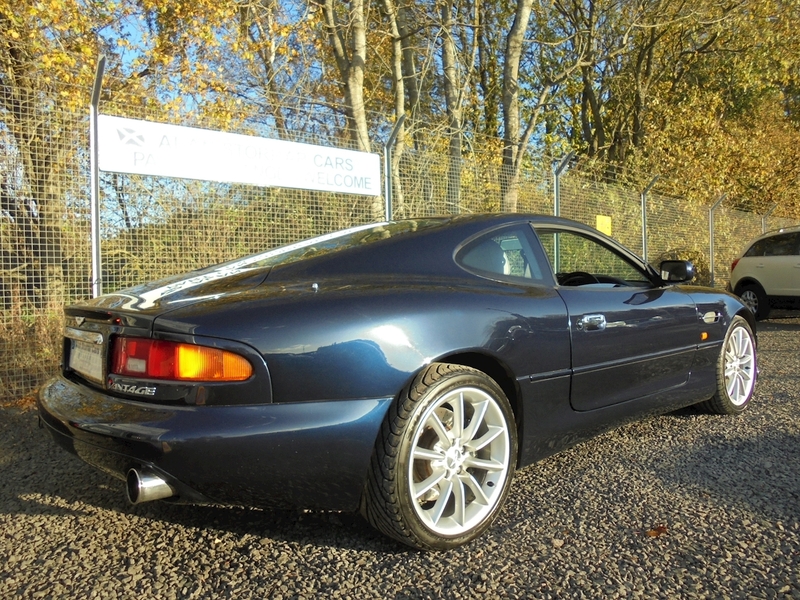 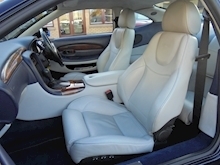 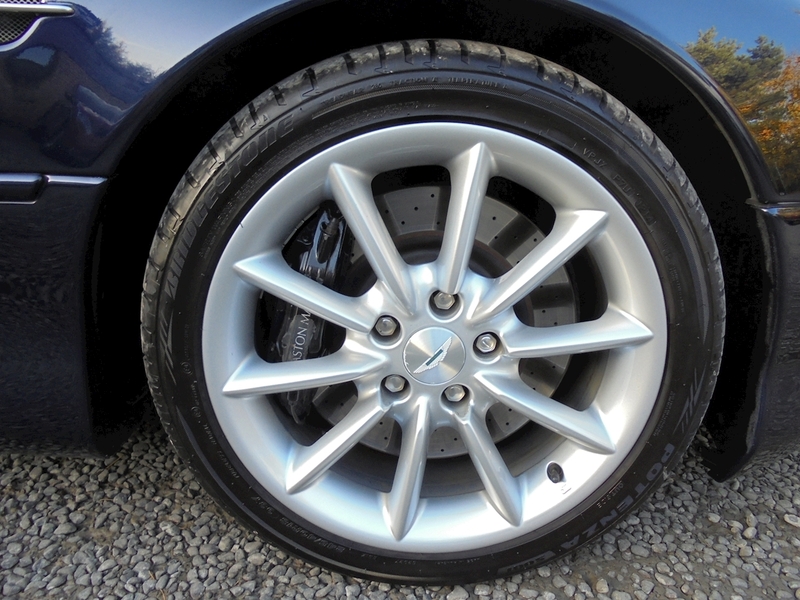 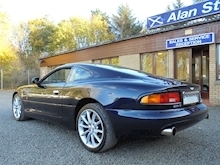 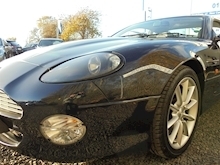 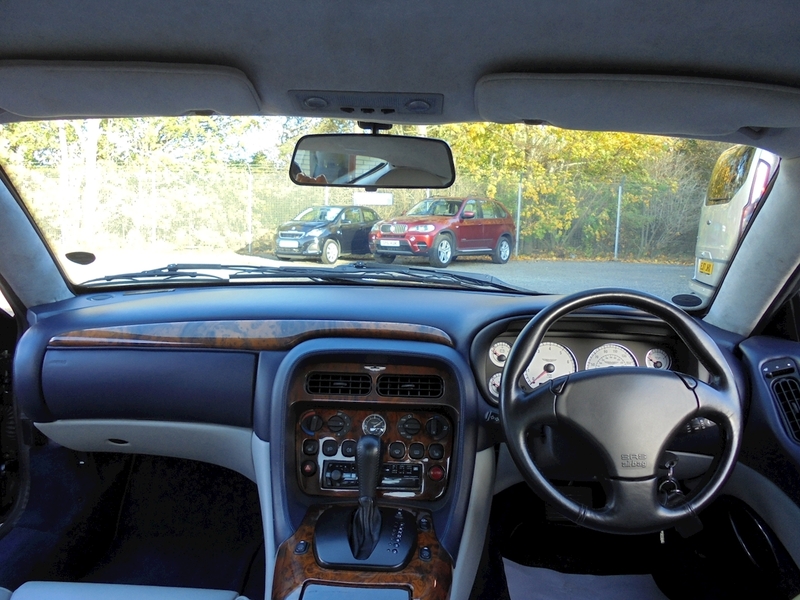 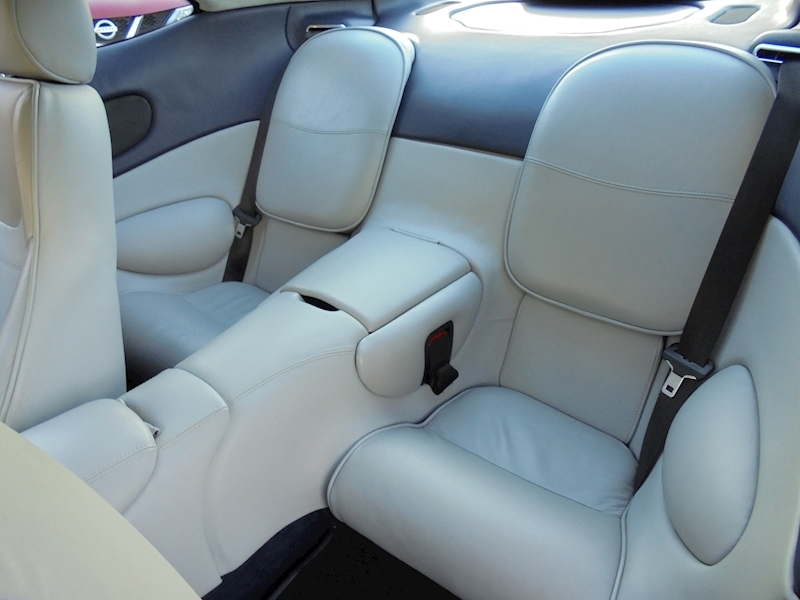 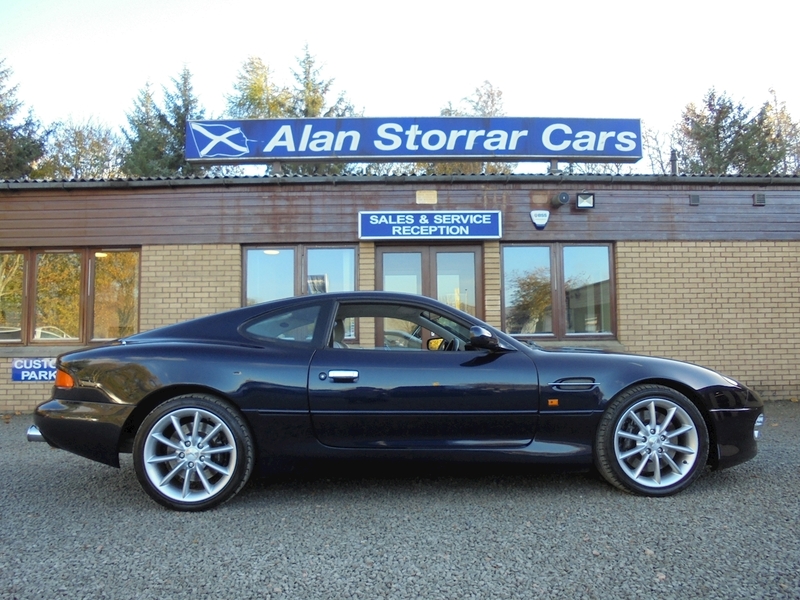 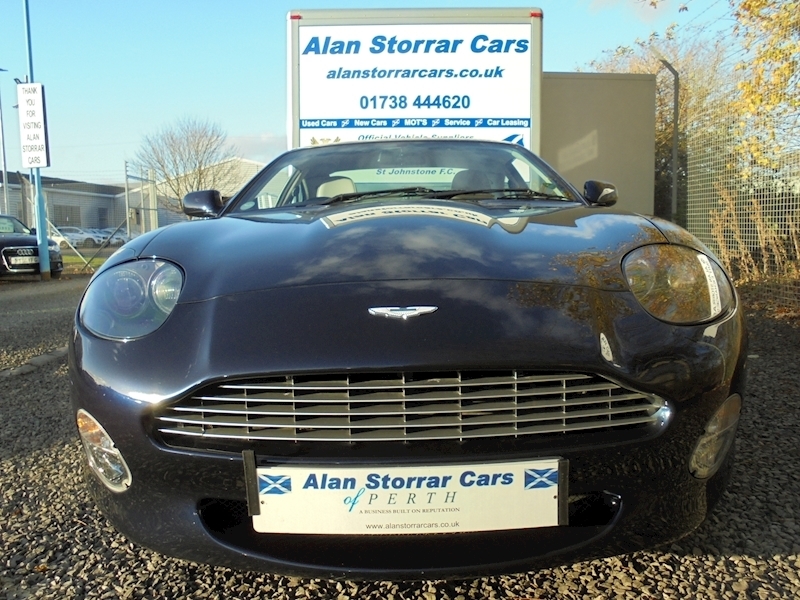 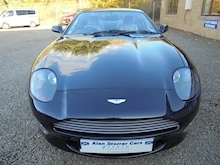 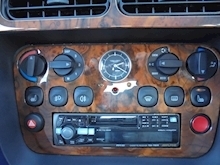 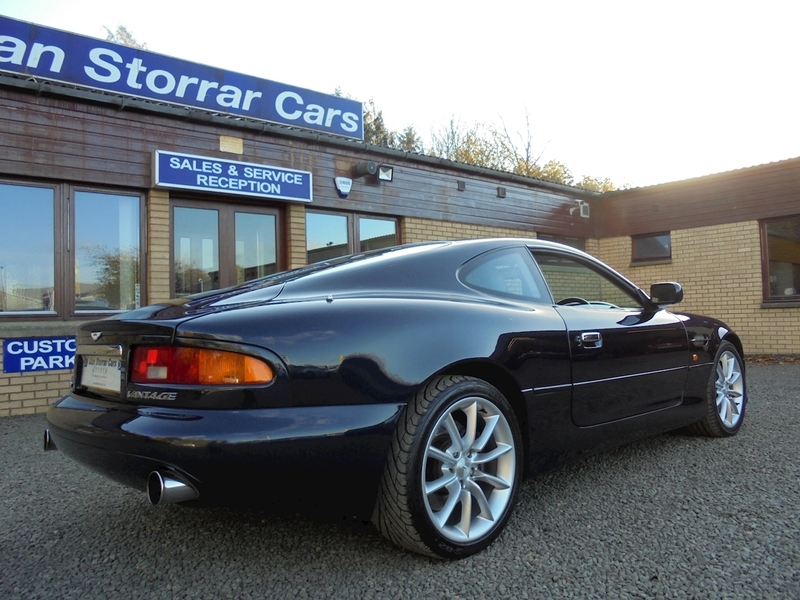 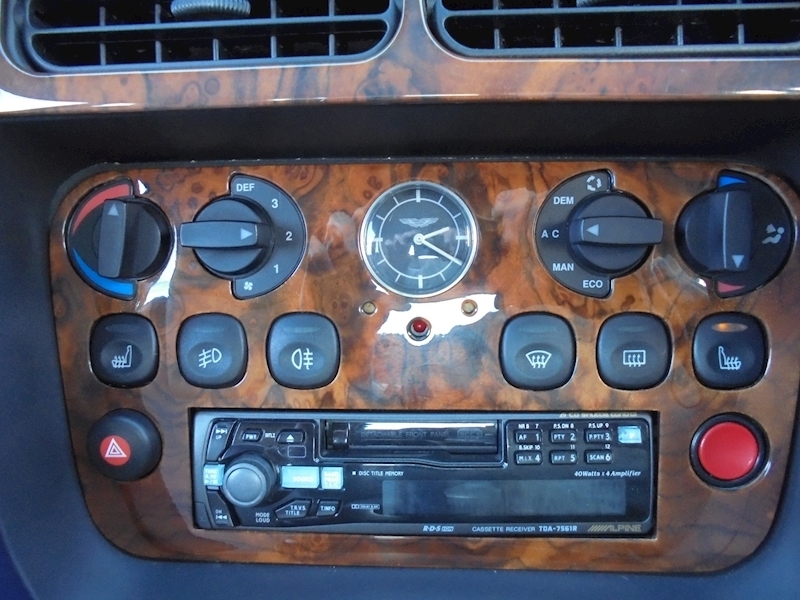 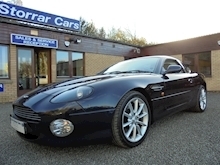 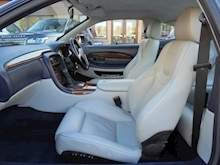 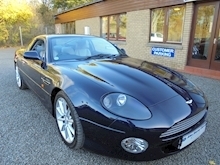 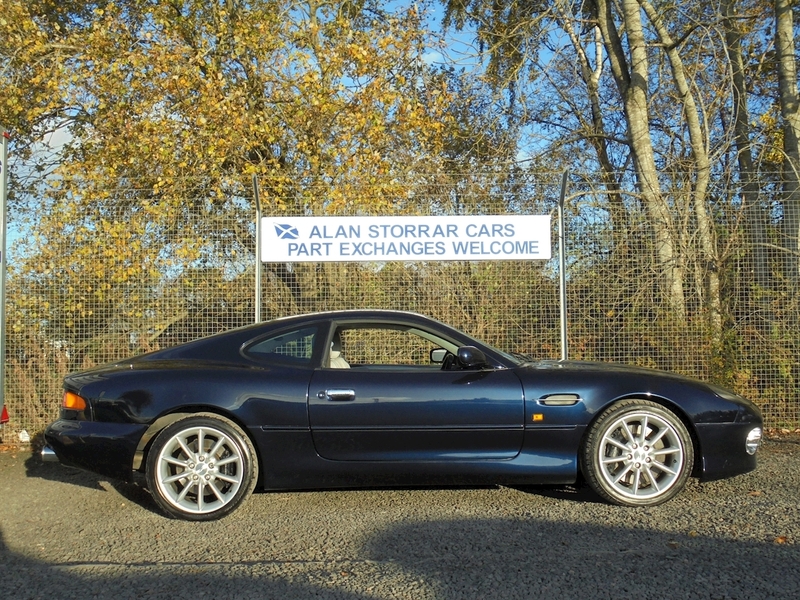 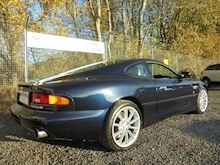 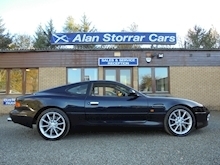 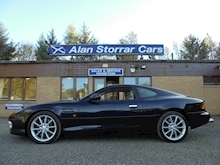 This rarely available DB7 is in Antrim Blue Metallic with a Light Grey / Pacific Leather Interior, it has only covered 46,959 Miles with an Aston Martin Service History, Specification Includes - Heated Front Screen, Excellent bodywork, Full leather interior , Alloy Wheels (18in), Adjustable Steering Column / Wheel, Anti-Lock Brakes, Alarm - Immobiliser, Electric door mirrors, Electric windows, In Car Entertainment (Radio / Cassette / CD Changer, Remote central locking, Upholstery Leather With Heated Front Seats. 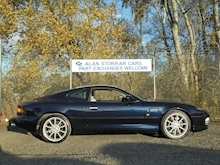 Antrim Blue Metallic. The shape of the DB7 was penned by Scottish designer Ian Callum and has been hailed as the best looking British car since the Jaguar E-type, In 1999, the powerful DB7 V12 Vantage was introduced at the Geneva Motor Show. 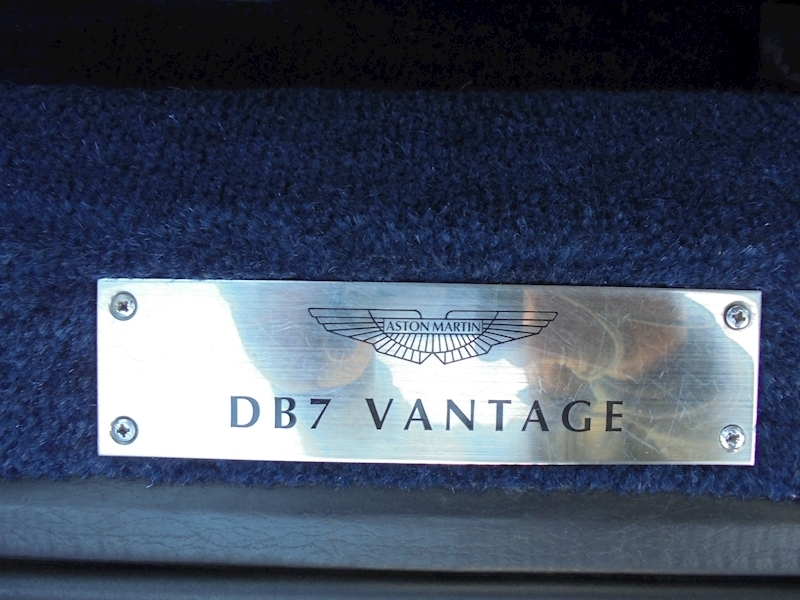 The new Vantage model featured an all new 5.9 litre V12 engine which produced an amazing 420bhp and 400 lb.-ft. of torque. 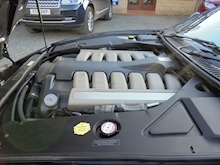 Not many have engines imbued with Ford / Cosworth technology: 6.0- Litre, lightweight aluminum cast alloy with four valves per cylinder, twin overhead cams on each bank of cylinders, and produced at Cosworth Technology's limited production plant in England; the same place that used to turn out Cosworth V-10 Formula 1 racing engines and turbocharged, V-8 Indy car engines. 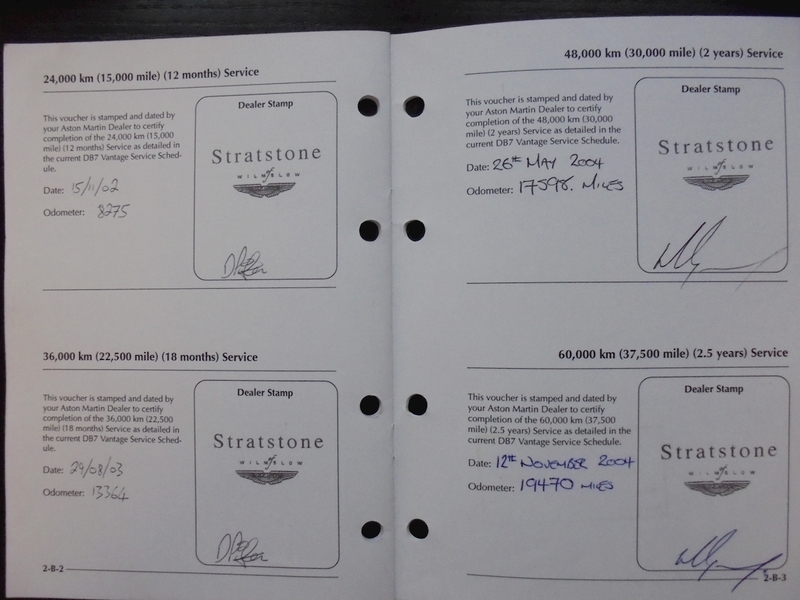 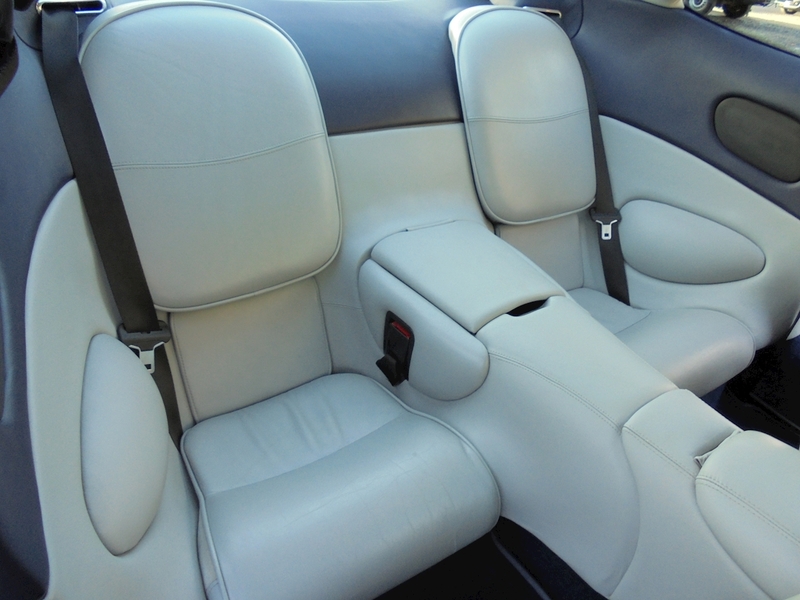 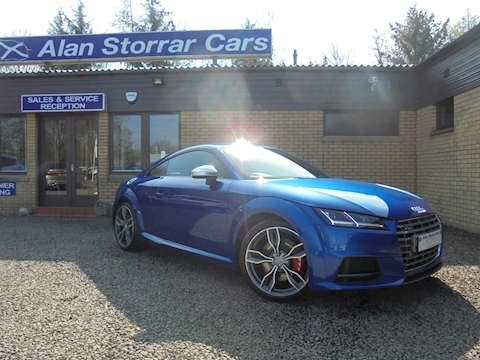 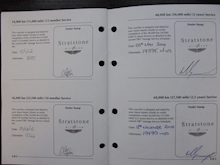 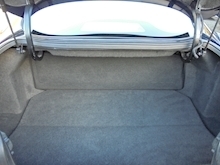 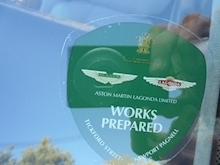 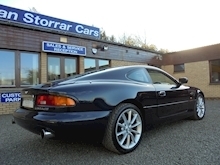 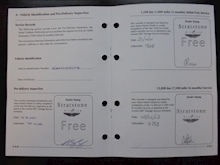 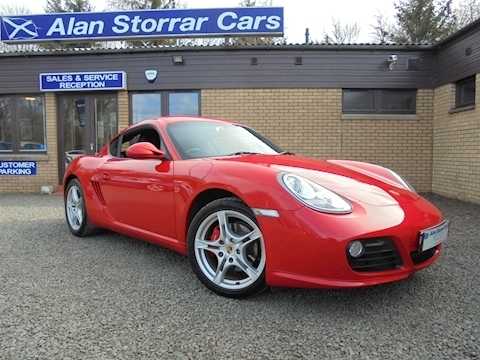 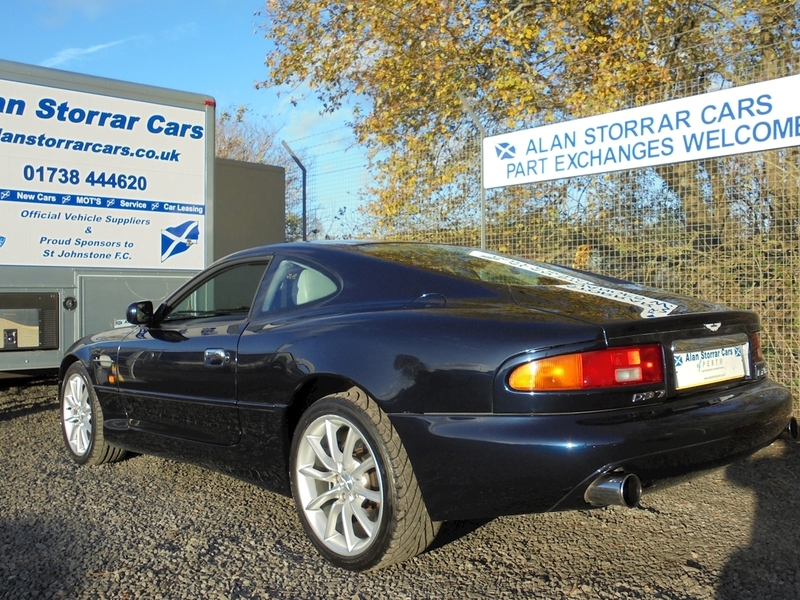 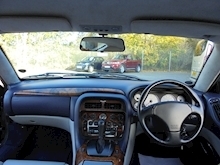 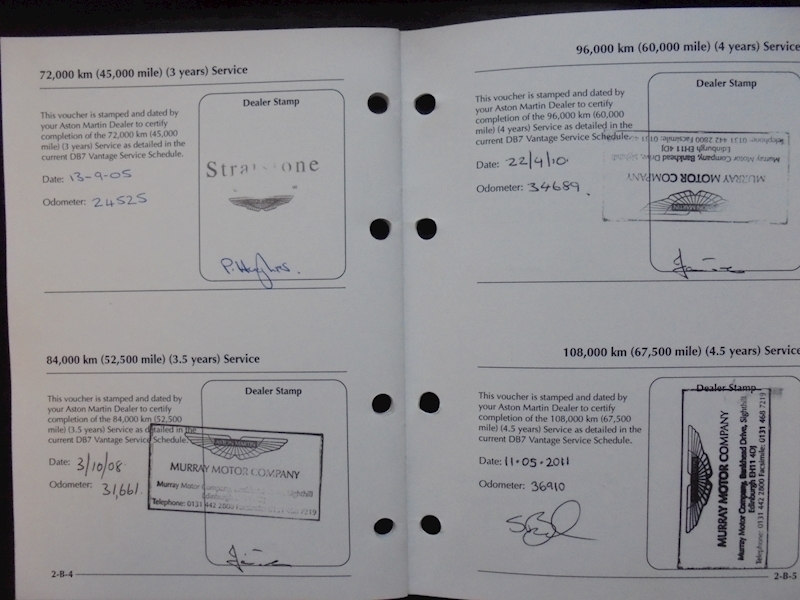 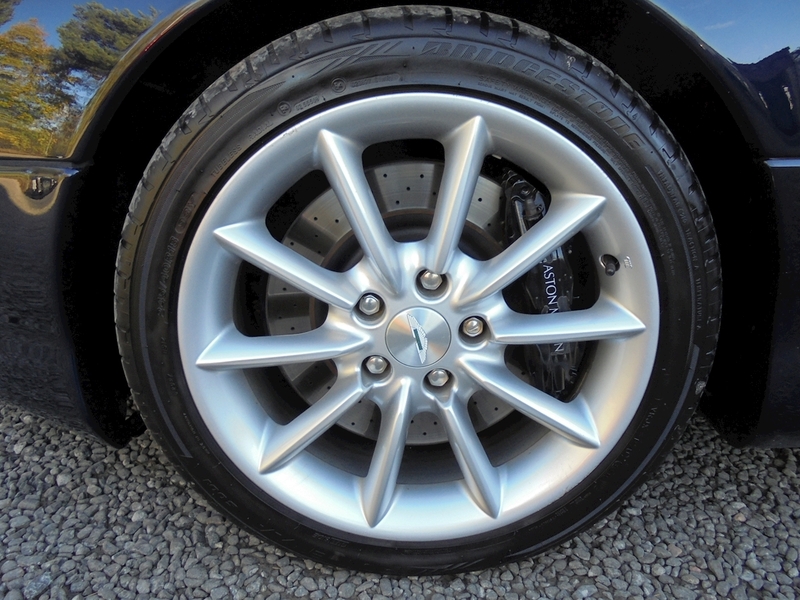 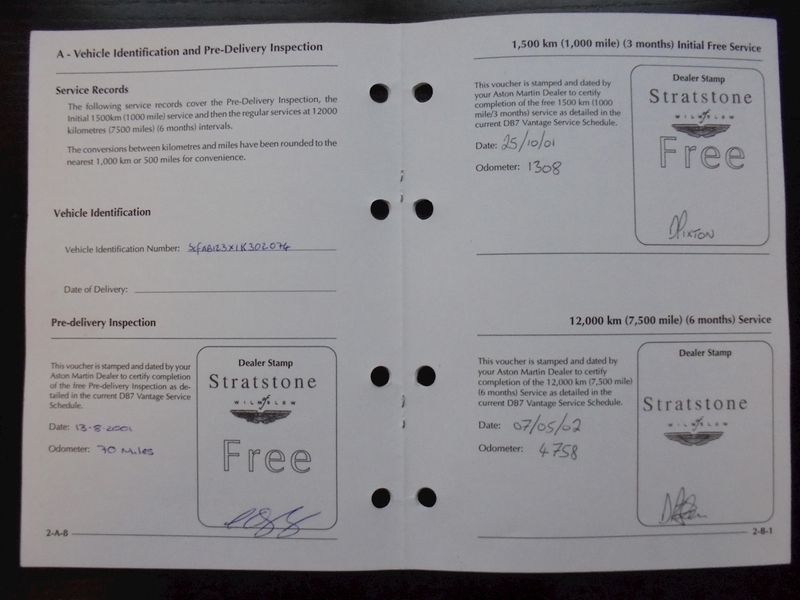 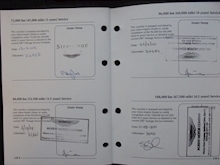 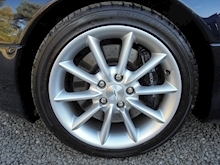 Alan Storrar Cars is a family owned business with a reputation for customer satisfaction and service, p/x welcome.